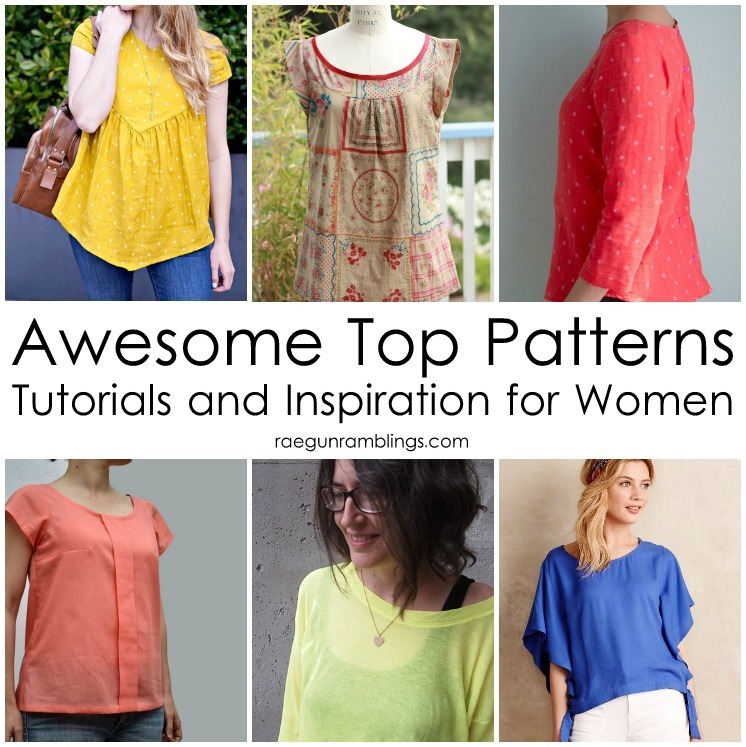 Aren’t all these women’s tops sewing patterns and inspiration amazing? ! I need new clothes like crazy but I am SO not feeling the styles and fits in the stores this season. Maybe it’s my post baby body combined with some ready to wear duds but I’ve know for a while that if I’ve going to get new clothes that I like I’m gonna have to make some. As we’re planning, making things all month long (and then wearing those things later) we like to share pictures on Instagram using #sewourstash and we would love to invite you to join. All you have to do is sew for yourself! 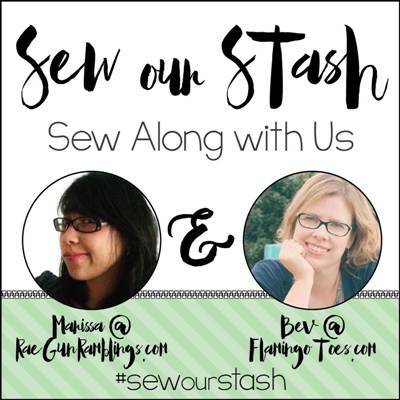 The last Thursday of every month is Sew Our Stash day where Bev and I show what we made that month. If you blog and want to write a post feel free if you just want to share pictures on IG that’s great too. We’ll be going through the hashtag every month and sharing some of our favorites. For May our theme is Tops. As a bit of inspiration we have each rounded up some of our favorite DIY shirts for women. Here are my personal pics and make sure to hop over to see all the Fabulous Tops to Sew that Bev found! I hope you’ll join us as we Sew Our Stash. 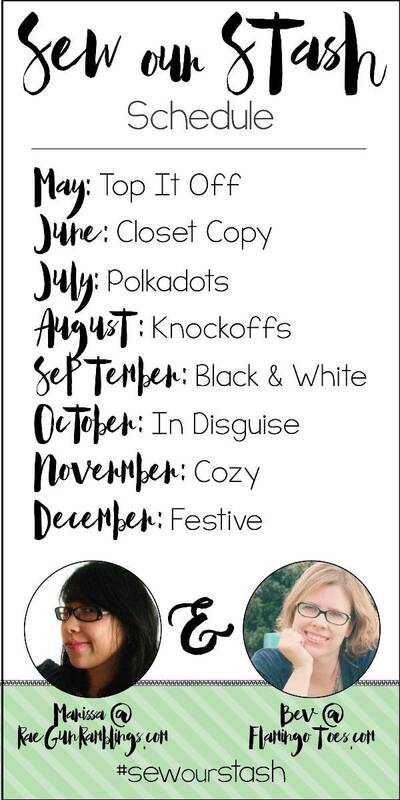 Here are the themes for the rest of the year! Happy sewing and don’t forget to #sewourstash on Instagram. I just finished drawing the pattern for a double drape top,I’m desperately in need of some summer tops so count me in.Can’t wait to see what everyone else is gonna make! I’m super excited about this – I already have three tops planned out! Hopefully I can get them all done lol! I absolutely LOVE several of these tops, but alas, I am no longer the lithe , athletic form that I once was – MANY YEARS ago. I realize that you ladies are trying to sew more for yourselves, but where are the larger sewing bloggers with patterns that would work for someone over a size 20???? That’s a good question! If I come across some I’ll definitely let you know but I bet some of these could totally be adjusted without too much hassle. Need to work on my stash = need new summer tops. Serendipity. Thanks so much for featuring our flutter top! Love this round up and Series, excited to play along!!! So, I’m late to the party! Ran across your blog this morning – 34 degrees here – and wanted to say what a clever idea this is! Hope you are doing this again next spring; I’d love to join in. What a great use of stash fabric – and boy do I have a stash. 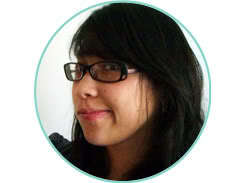 Kudos on your blog. I’ll be reading more of it soon. Just to go on record – you can never have too many tops or T’s. Cute selection of tops. What pretty tops! I would love some new tops. I’ve never made a top before, I don’t know if I have the patience to make it happen.